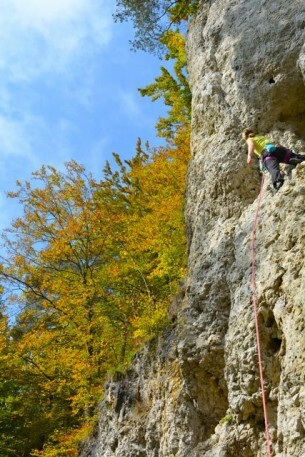 Last week I went climbing again in Niemandsland. I went there because Barbara Raudner asked me to give her some beta on “Honig”. 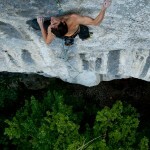 She recently climbed the beautiful 8b+ called “Indotimes”, so now it’s time for a new project. So here it goes: it’s pretty long and pretty cool. The route basically exists out of two parts. 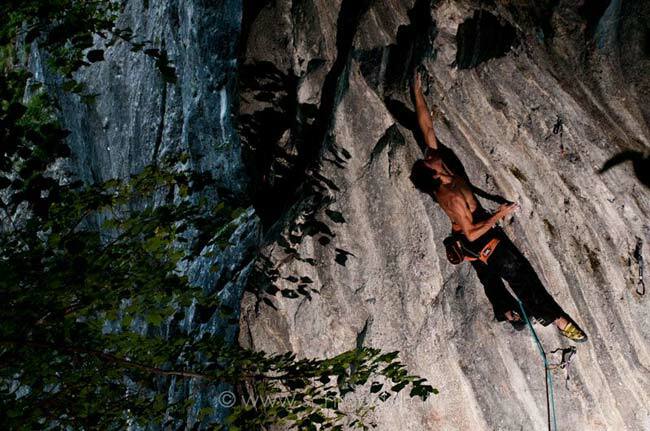 The first part is called “Jenszeit des Lustprincips” and is 8c, the extension is called “Honig”. 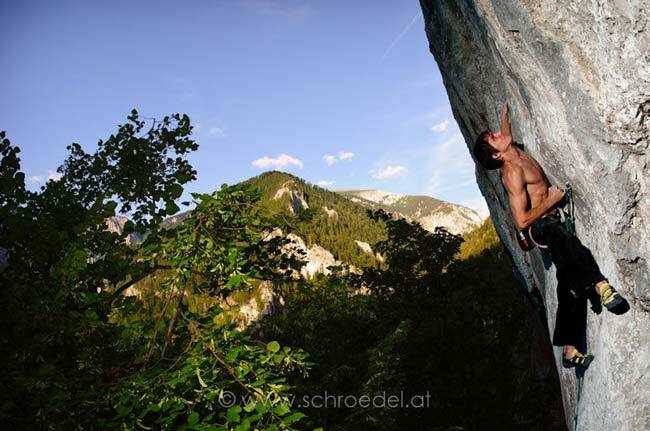 When you climb them in one go, the 45 meter-route is called “Blut und Honig”. 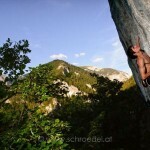 It’s possible to climb “Honig” on its own if you climb a parallel 7c+/8a and after the chain traverse into “Honig”. That line is supposed to be 8c on its own, but I think it can’t be harder than 8b/+. It’s hard to tell, I guess it’s all about your ability to recover. The crux of “JdL” is a strange boulder problem where you place the palm of your right hand on a sloper, with the left hand you pinch another sloper, from there you move semi-dynamic up to catch a bad undercling with two fingers. At that moment you’re entirely stretched out so you really have to maintain a lot of pressure on your feet… after that there’re still two difficult sections in the route. Anyway, weird boulder move. It’s still a bit of a mystery how I was able to do that, because I’ve always considered (semi-)dynamic moves to be avoided when your name is Micha Vanhoudt (or Guy Van den Berg). On the 9th of July I did “Honig” (described earlier), the second part of “Blut und Honig”. Now it was on! From that moment on I knew I could do it. I climbed the second part a couple of times, so I really knew it by heart. 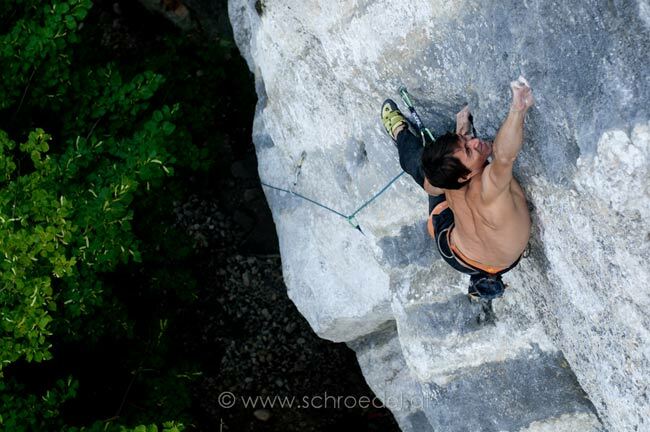 My plan was to become that fit that I only had to pass that horrendous crux from “JdL” once. The 14th of July was my day. It was a cloudy day, fresh with a lot of oxygen in the air. Nino from the gym “Rotpunkt” belayed me. 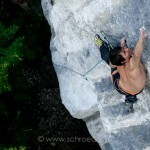 I messed up the crux, he lowered me to the ground, told me to relax… and then I took of again. 35 to 40 minutes later I clipped the chain. Wow. Well, that was that. First repeat of Berni Fiedlers “Blut und Honig”. In the end that route went down pretty fast. So my plan of approaching the other routes in Niemandsland as training-routes really worked out. I was quite happy about it. However the grade kept swirling around in the back of my head. 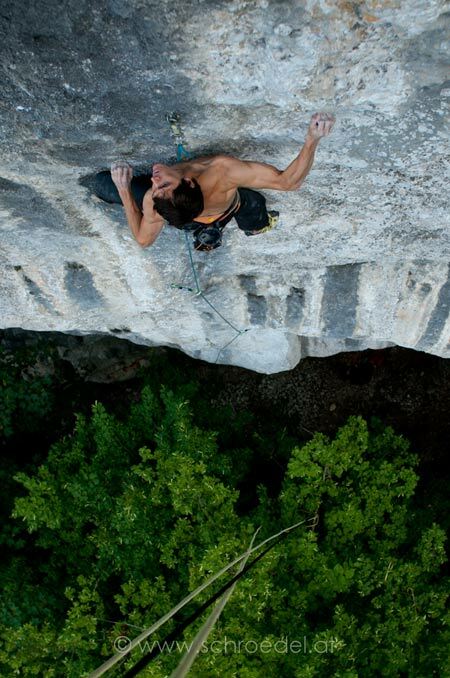 It was opened as 9a by a really strong climber, with far more experience in difficult routes than me. It was all very confusing. I don’t know anything about 9a, nor about 8c+. To be honest; most of the time I don’t know anything about grades at all. The only thing I did know was that 9a just didn’t feel right at all. 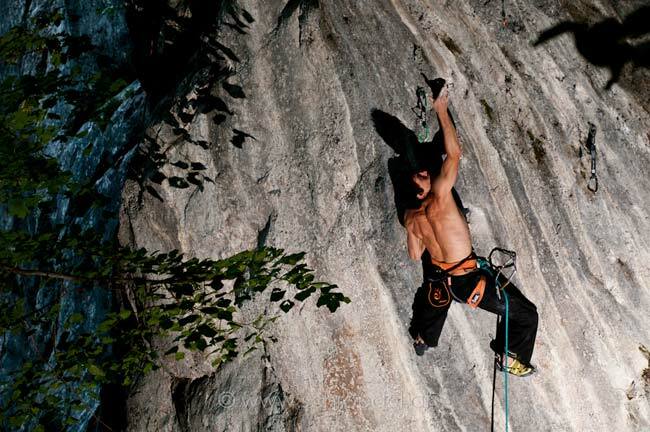 When I look back at it now, I think that “Blut und Honig” is an easy 8c+, to me. However, it should not be underestimated what a world of difference it makes if a route suits a person or not. But after all, who cares about the grade? The most important part is to find a route you like. A route that’s beautiful and motivates you. It’s all about having fun. Big thanks to Nina, Jakob, Chris, Nino, Barbara und Hannes, and everybody else for a nice first summer in Vienna!